34 Andrus Circle, Silver Creek, NY.| MLS# B1129987 | Chautauqua Lake Real Estate. Specializing Chautauqua Lake helping Buyers and Sellers since 1985. Newly remodeled home with new furnace, carpets and laminate through out the home . New tiled shower . Eat in kitchen has a double sink and a range hood exhaust fan. Spacious living room with a cathedral ceilings and ceiling fan . Master bedroom has a wall to wall closet. Laundry area for a full size washer and dryer. 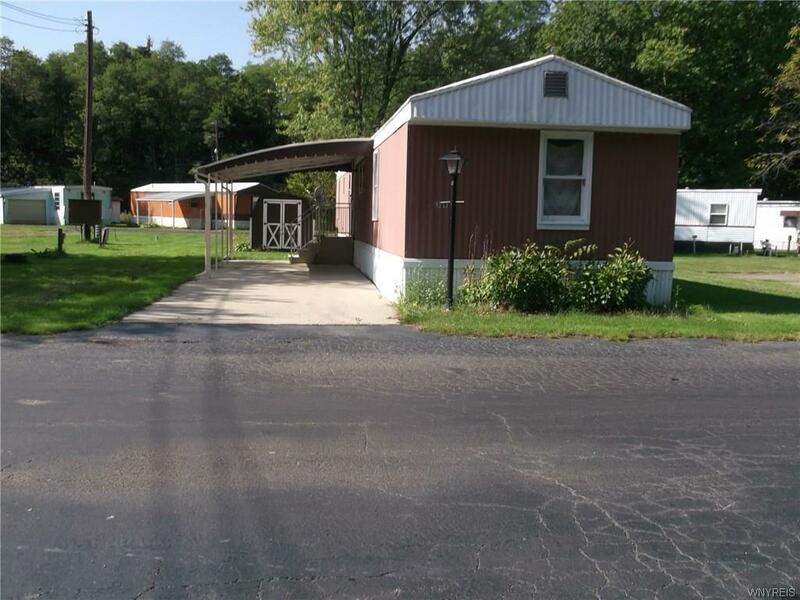 Home is located on a corner lot in a quiet country setting lot There is an 8 x 10 barn style shed and carport included. Close to Dunkirk, shopping and medical needs. Star tax credit eligible. Directions To Property: Old Main St. Take A Right On Ward And A Quick Left Onto Main Street. Take The 3rd Right Onto Andrus St And A Right On Andrus Circle.